Pristine white sandy beaches, crystal clear brilliant blue waters, the sound of the surf lapping upon the shore, and magnificent sunsets exploding in the sky and gleaming over the ocean waters. This is heaven to me. While some people yearn for the mountains or adventure travel to exotic places, there is a mystery about the sea that excites me. The vast oceans of the world are tranquil, entrancing, and limitless in the destinations that you can reach by ship. And when it’s time to relax and rejuvenate the body, mind, and soul, the Caribbean calls out to me; I dream of those stunning beaches and warm turquoise blue waters, a ride on a catamaran with a cool and pungent rum drink in my hand, and the smiling friendly faces of the local people who have a zest for a simple and happy life that many of us may not completely understand. 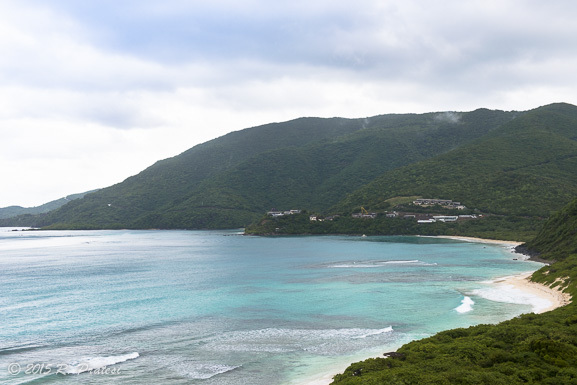 One of the best options to visit some of these beautiful, and each very unique small islands in the Caribbean, is by cruise ship, especially a smaller ship that can dock or tether in less traveled ports. 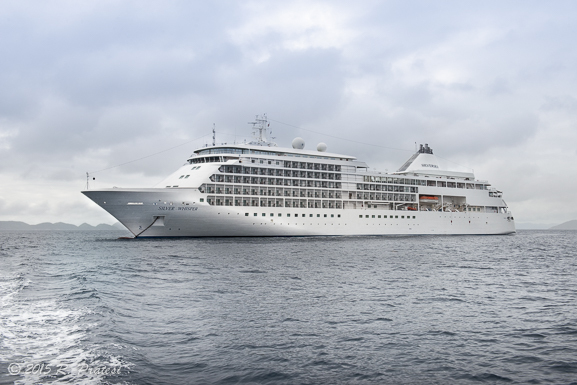 Here is a short video from our cruise aboard the Silver Whisper. * Please adjust the settings to view in High Definition (720 p) by adjusting the setting on the wheel on the right side of the video. 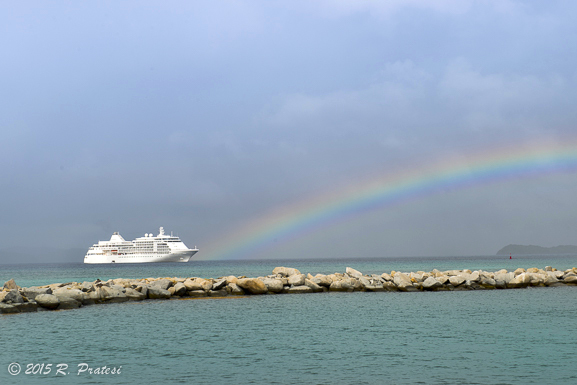 On our recent trip to the Caribbean, we traveled with Silversea Cruises on the Silver Whisper from Bridgetown, Barbados in the West Indies to Ft. Lauderdale, Florida. It was our first time cruising with this intimate and award-winning all-inclusive luxury cruise line. With a long list of awards and accolades, including the recent distinction of the Silver Whisper being named the “Best Luxury Cruise Ship” by U.S. News & World Report, it is easy to understand why so many travelers that we met on board the ship are very loyal to this line. With many cruise ship companies boasting very large ships in their sizable fleets and so many lines being owned by larger conglomerates, Silversea is unique in that their 8 ships are owned by one Italian family, the Lefebvres of Rome. In addition to the five more traditional cruise ships, the company launched Silversea Expeditions in 2008, which offers a very different and more adventurous cruising option for their guests, traveling to such places as Antarctica, the Galapagos Islands, and the Arctic. 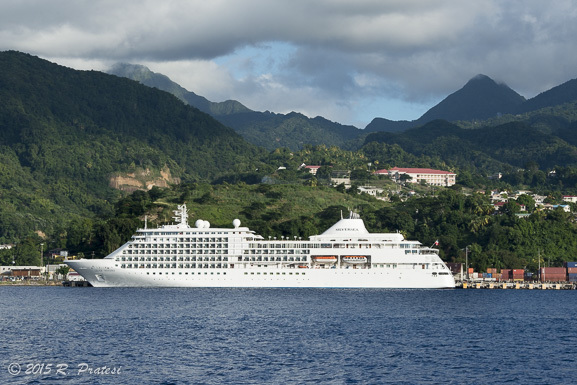 All 8 ships in the Silversea fleet, accommodating anywhere between 100 to 540 guests, offer luxurious all-suite accommodations, unparalleled service, all-inclusive pricing (except for some additional expenses, such as excursions), and travel to over 800 destinations around the world. Our ship, the Silver Whisper, was elegant in design with a very European feel, yet it was understated in its formality and very comfortable. With large public areas and dining spaces, it felt like a much larger cruise ship. 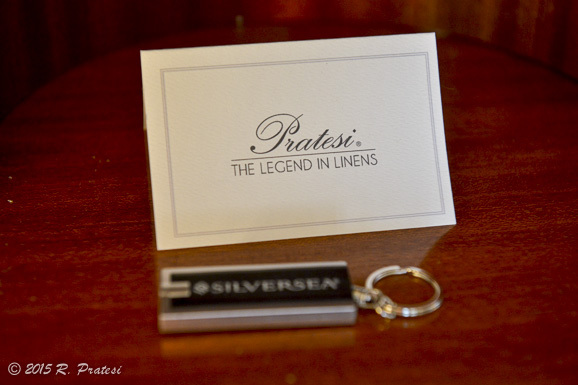 Giving a nod to its Italian heritage, the bedding and other linens on board were Pratesi linens and while the staff was quite international, our captain, Luigi Rutgliano, was very much from Italy. We found the crew and staff very engaging and personable and the service excellent from the front desk to the restaurant waitstaff. It was impressive how quickly everyone learned the names all of the guests on board. Particularly memorable were our butler and cabin steward. 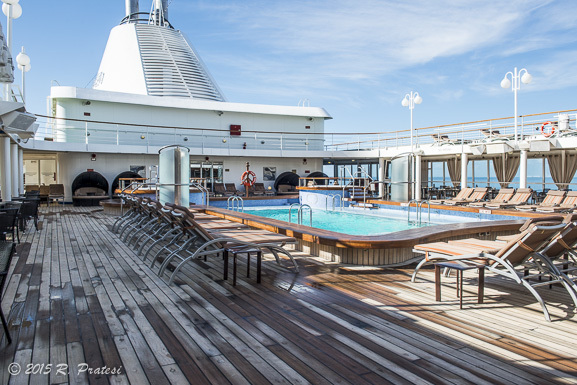 This particular cruise was 7-nights; one of Silversea’s shorter itineraries. 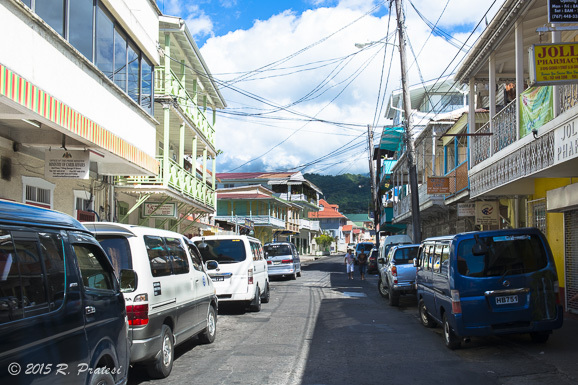 Embarking in Barbados, the vacation playground of the Europeans, especially the French and English, it gave us an opportunity to travel to this enchanting island that we might not have visited if not for this sailing. 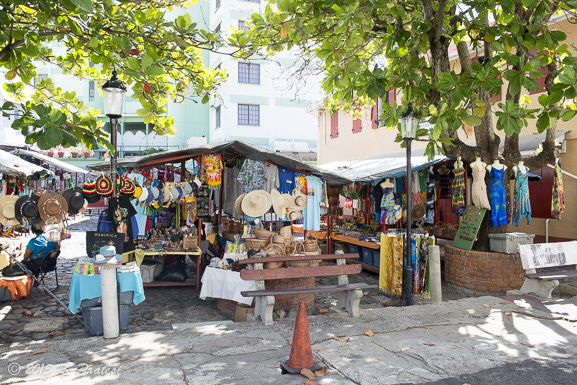 Starting in the Southern Caribbean and the West Indies, we traveled north to St. Lucia, Dominica, St. Barts, and Spanish Town in Virgin Gorda. The island of Dominica is in the center of the Caribbean archipelago, located between the French islands of Guadeloupe (to the north) and Martinque (to the south).